The International Student Organization (ISO) at Eastern Mennonite University has announced the guest speaker for its 2018 Spring Gala, which will benefit UNICEF/USA’s work with vulnerable children and women affected by sexual violence in the eastern part of the Democratic Republic of Congo. Dr. Diana Fox, a three-time Fulbright Fellow, will speak during the April 14 gala in Martin Chapel. She is the chair of Bridgewater (Massachusetts) State University’s department of anthropology and the founder and editor of the Journal of International Women’s Studies. Tickets for the formal event, which includes a meal, live performances and more are $25 ($15 for students) and are available for purchase online here. 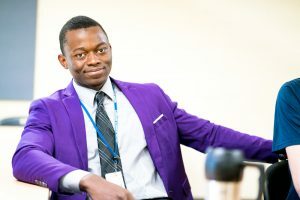 Paul Kayembe is the International Student Organization president. Canadian-born actress Emmanuelle Chriqui will send her regards and support of the event by video. Her visit to the DRC in 2016 to learn about institutions helping women greatly impacted her – she wrote about it in a Huffington Post article. Her itinerary there included a stop at an organization where ISO president Paul Kayembe once interned as a high school student. By way of connections made through that visit, he was able to contact Chriqui. A variety of student acts are slated for appearance. Willow Run, an acoustic trio that “dances between borders of Americana, country and indie-rock with a minimalist approach,” has performed at the Virginia Mennonite Relief Sale and includes Jon Bishop ‘17 and seniors Perry Blosser and Joseph Harder. Maleke Jones, recognized recently for his song “Caged Bird,” and the EMU jazz combo will also perform, as will spoken word artist Talibah Aquil. Before becoming a graduate student at the Center for Justice and Peacebuilding, Aquil toured with the professional dance troupe, Step Afrika! The artwork and photographs by digital media major Adila Wahdat, from Kabul, Afghanistan, addresses the victimization of women in patriarchal societies. The series of portraits to be auctioned “portray how a system leaves women confused, lost, invisible and depressed,” she wrote. Ghanaian digital artist Alfred Darko Junior uses photo editing software to create painting-like images from photographs. He is also accepting personal portrait commissions through ISO. Additional works (not on display) by EMU senior Lara Weaver will also be auctioned. The ISO launched its $25,000 UNICEF/USA fundraising initiative last fall with a t-shirt sales campaign. The group has also hosted bake sales at athletic events and a charity concert. Fox, a cultural anthropologist who focuses on the Anglophone Caribbean, researches and teaches topics such as ifeminist ethnography; anthropology of activism, race and ethnicity; and women’s human rights. Her work in Jamaica led to the publication of her book Cultural DNA: Gender at the Root of Everyday Life in Rural Jamaica (UWI Press, 2010). Previous research in Eritrea resulted in her co-authoring The Challenges of Women’s Activism and Human Rights in Africa (The Edwin Mellen Press, 1999). She also studies “biocultural diversity and issues surrounding gender roles and water sustainability” in Trinidad. 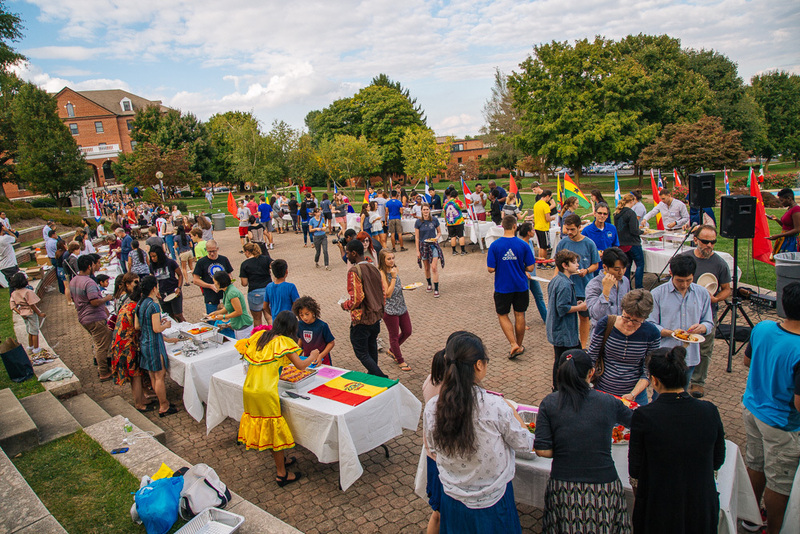 The ISO first met in 1962, and seeks to represent and display international diversity in the EMU community. Thanks for sponsoring this important event. There are many Congolese people in our community who have been outspoken on the ongoing tragedy of sexual violence against women in their country. Thank you for making a difference.